How are Rehab Centers in Tucson, AZ Addressing Substance Abuse? What services do rehabs in Tucson AZ offer for treating substance abuse? How rampant is substance abuse in Tucson AZ? How Many Treatment Centers are in Tucson, AZ? 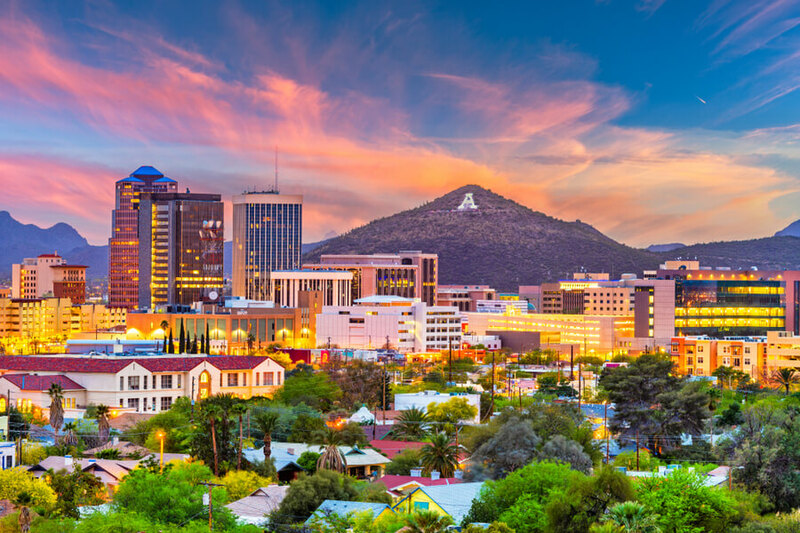 Based on the database maintained and publicly shared by SAMHSA, there are currently 38 Tucson rehab centers and addiction treatment clinics that provide treatment for substance abuse in and around Tucson, AZ. According to the database, there are also 21 facilities for mental health in Tucson. A total of 59 health care centers are also capable of providing various services to address substance abuse directed at general populations, including special interest groups such as veterans, women, and adolescents. SAMHSA also lists 33 physicians who are registered to administer buprenorphine to help address addiction to opioids. In place in Arizona is the Arizona Substance Abuse Partnership, an initiative launched and led by the Governor who also appoints members to the Council. The Council has created a number of sub-committees that are aimed towards contributing to the prevention, greater awareness, treatment, and support for residents and migrants who are challenged by substance abuse. The Council has also been actively researching about the epidemic and working towards the resolution of issues and gaps identified. The Arizona Department of Health Services has also been closely monitoring drug abuse, especially opioid epidemic in partnership with hospitals in Tucson, AZ as well as other institutions and organizations that provide any form of service related to substance abuse. The Department has also issued guidelines, policies, and regulations concerning opioid reporting and for emergency treatment of possible overdose. The area is becoming a popular choice for drug rehabilitation because of the wide range of services and approaches offered by various rehabs in Tucson. Other than Tucson hospitals offering detox in Tucson, there is also a strong presence of halfway houses in Tucson AZ. 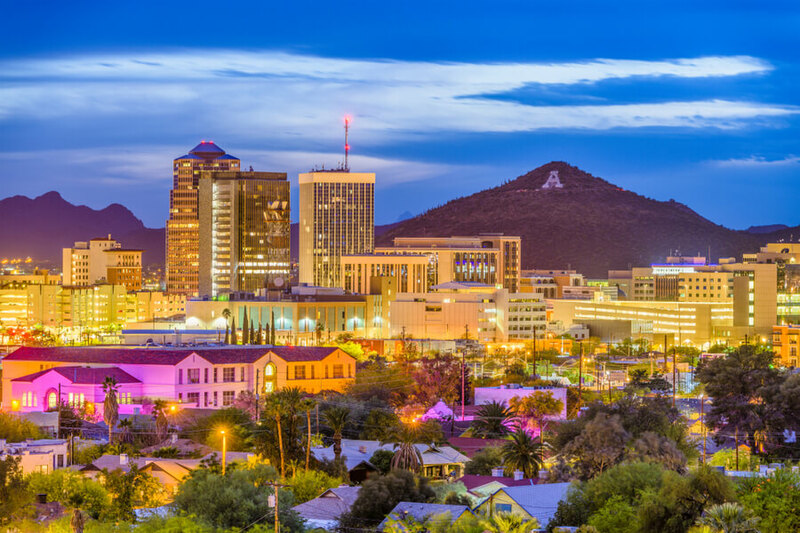 What Treatment Options are Possible in Tucson, AZ? Tucson hospitals will typically include a choice of inpatient or outpatient detox and rehab services. There are also several methadone clinics in Tucson. 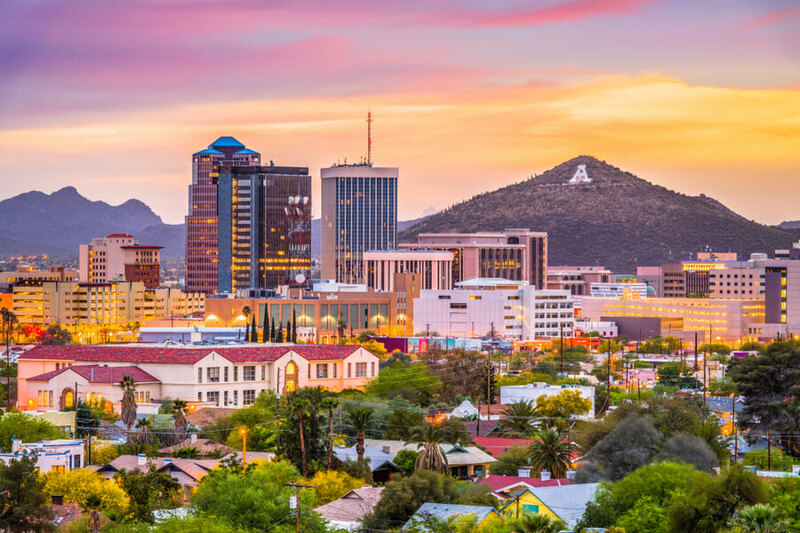 Accessing a Tucson rehab center will also commonly provide patients with a strong access to support networks that may include Alcoholics Anonymous (AA) meetings in Tucson, Narcotics Anonymous (NA) meetings in Tucson, or any other similar therapy group of Tucson. Participating in such organizations help recovering addicts feel more empowered and it also keeps them motivated to stay clean and sober. The behavioral health of Tucson and non-Tucson residents alike are also given more focus in relation to substance abuse. Since addiction is closely associated with mental health, Tucson rehab centers will likely connect patients to mental health institutions as well as to similar institutions that can help patients address the underlying causes of addiction, which may include physical, sexual and mental abuse, grief, and other related exposure to crimes and corruption. Programs on alcohol and drug rehab in Tucson will strongly consider what substance is being abused. From there, a final program of rehabilitation will be drawn up for each patient. However, not all programs may be available in a single facility and will likely entail referrals. How to Find the Best Addiction Treatment Center in Tucson, AZ? Drug addiction is hardly a stand-alone problem. To court a successful recovery, therefore, it is imperative that the underlying causes are also given proper focus and resolution. 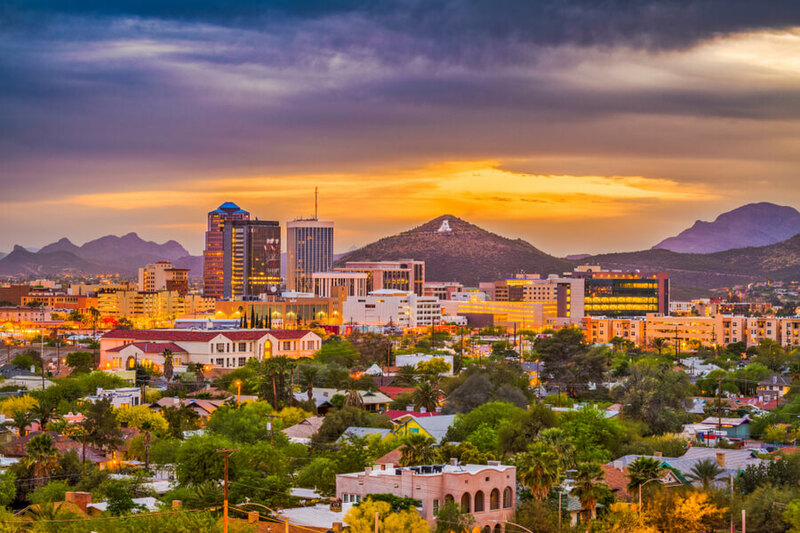 From finding a network of AA in Tucson to determining detox centers in Tucson that can help address substance abuse,certain factors must be considered to improve a patient’s chances of successfully recovering from a dependency. Get a proper diagnosis. An expert will be able to confirm any existing substance dependence and will know how to refer the patient to an appropriate service or institution. By properly diagnosing the problem, a patient will have better chances of overcoming addiction. Make inquiries. Since different rehab facilities offer different kinds of treatment and support services relative to substance abuse, it will be helpful to make several inquiries. Specifically ask about how programs are individualized and what different centers can offer a patient on the case-by-case basis. Seek social support. Successfully going through a full course of treatment only wins half the battle when it comes to addiction. Whether a patient is more comfortable sharing with loved ones only or, find stronger motivation with an AA in Tucson, establishing a strong support group can definitely help a patient’s recovery and help stay clean long after rehab. If you or a loved one has developed substance dependency, consider seeking professional help. Make the first move. Call (888)-459-5511. All calls are kept private and confidential. According to data reported by the Centers for Disease Control and Prevention (CDC), drug overdose deaths totaled 1,382 in 2016 alone. This is equivalent to 20.3% out of every 100,000 persons which is higher than the national average of 19.8%. The National Institute on Drug Abuse also reported 769 deaths due to overdose on opioids in the same year. The same report highlighted how the high number of opioid prescriptions (76.2 for every 100 persons) may be fueling addiction in the state. The study commissioned by the US Department of Health and Human Services highlighted that, in 2015, 16% of adolescents in Grades 9 to 12 disclosed that they had their first-ever drink of alcohol before age 13. The same study also showed that 44% of respondents had a drink within 30 days prior to the conduct of the survey. Also based on the same study, 43% of respondents ever had marijuana, 9% ever had cocaine, and 5% ever used pain relievers for non-medical purposes. For people struggling with alcohol abuse AA Meetings in Tucson, Arizona are available. For people struggling with illicit or prescription substances NA Meetings in Tucson, Arizona are available.